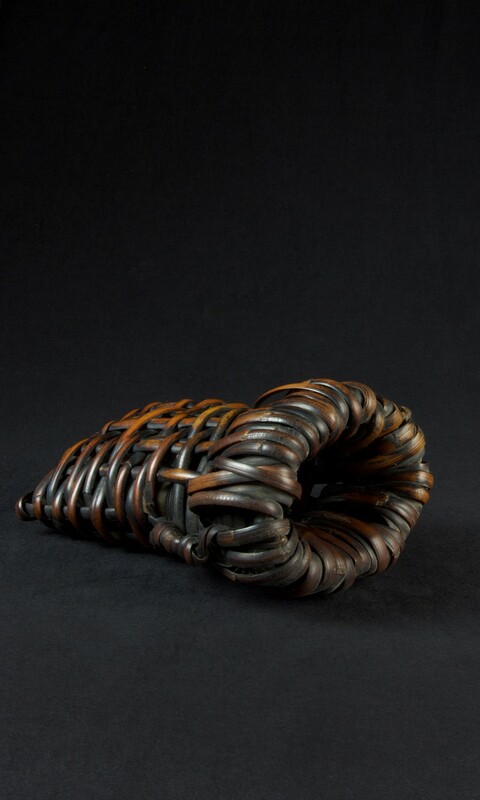 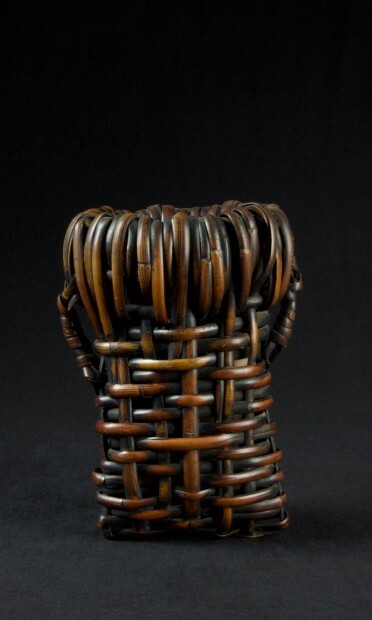 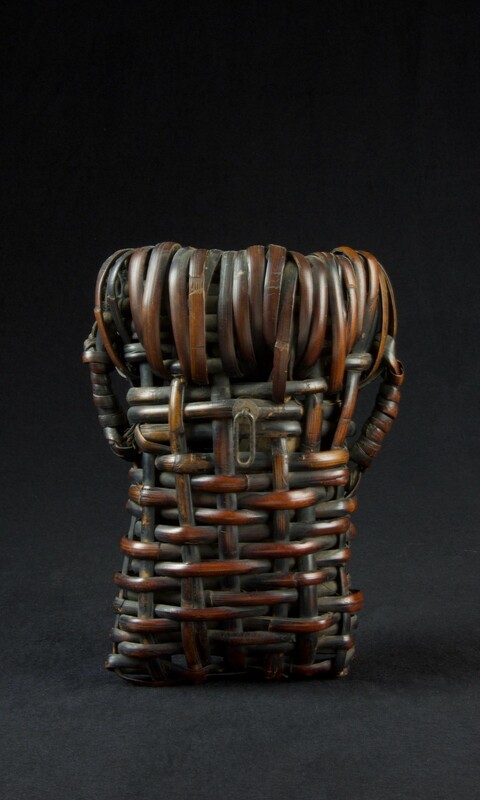 A Japanese mingei wall hanging bamboo basket. 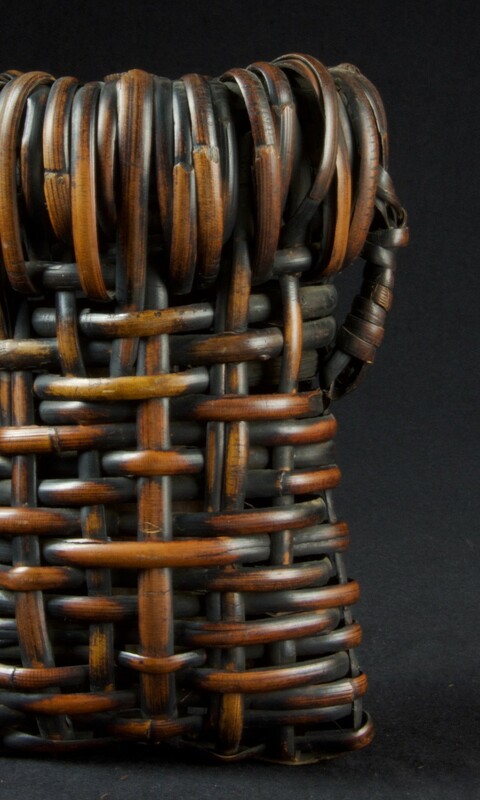 The basket of large loose weave and emphasized mouth would have been hung on a wall or the tokobashira column of the tokonoma, recessed art alcove. With iron fitting for hanging, and minor wear and damage from age.